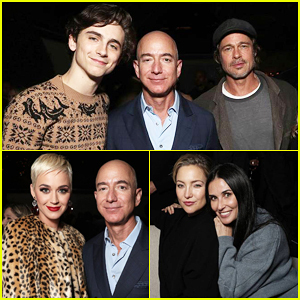 Also in attendance at the festive affair was Larry David, Juno Temple, Giovanni Ribisi, Margo Martindale, Christina Hendricks and hubby Geoffrey Arend, Casey Affleck, Floriana Lima, Michael Kelly, Eli Roth, David Oyelowo and his wife Jessica Oyelowo, Chace Crawford, Topher Grace, Beth Grant, Head of Amazon Studios Jennifer Salke, and film producers Jeremy Kleiner and Dede Gardner. FYI: Camilla is wearing a Novis dress and a Michelle Waugh coat. Mark Wahlberg is dapper in a suit while posing alongside co-star Rose Byrne at the Paramount Pictures special screening of their latest film Instant Family held at the Regency Village Theatre on Sunday (November 11) in Los Angeles. 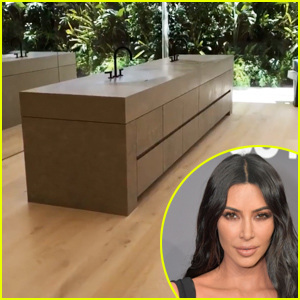 The 47-year-old actor and Rose, 39, were joined at the event by their co-stars Octavia Spencer, Britt Rentschler, Gustavo Quiroz, Tig Notaro, Julianna Gamiz, Isabela Moner, Margo Martindale and Julie Hagerty, as well as the film’s writer-director Sean Anders. The red carpet was canceled out of respect for the California wildfires and the recent shooting in Thousand Oaks. 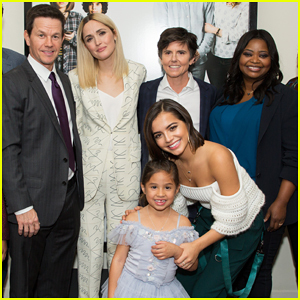 “Instant Family premiere with my family ❤️❤️❤️,” Mark captioned with his Instagram post with his wife Rhea Durham and their two daughters, Ella, 15 and Grace, 8. Instant Family hits theaters on November 16! FYI: Rose is wearing EF Collection earrings. 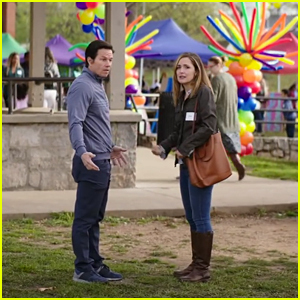 Mark Wahlberg and Rose Byrne co-star in a new movie called Instant Family, and you can watch the trailer right here! The movie is inspired by real-life events from the life of writer and director Sean Anders and also stars Octavia Spencer, Tig Notaro and Margo Martindale. The movie hits theaters on November 16. Watch the trailer below!